For the third year in a row, members of our law school community came together to share why we believe law needs feminism. 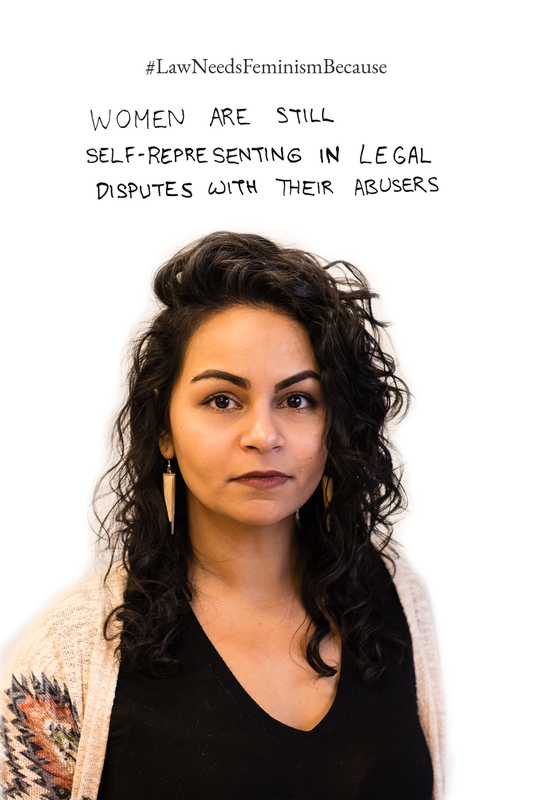 Thirty-four participants’ photos make up UVic Law’s 2019 campaign run by FemLaw (the Feminist Law Students’ Association) and the sum is truly greater than its constituent parts: as a whole, the campaign is a powerful and impactful statement. At UVic Law, LNFB photoshoots often happen quickly and quietly. The noise and lasting impact starts when, a few weeks later, the photos are released collectively as a declaration of mutual outrage, determination, and solidarity. 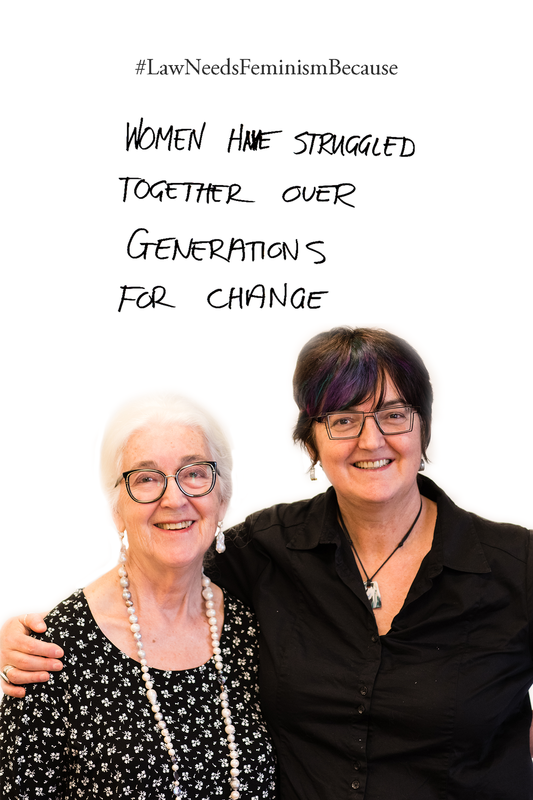 UVic FemLaw is excited to encourage dialogue, reflection, and action this year through a drop-in exhibition of the photos alongside tea, treats, handouts with resources, and a display of excellent feminist books. It feels wonderful to get together as a community and honour the process and product of this important campaign. Thank you to all participants and volunteers! 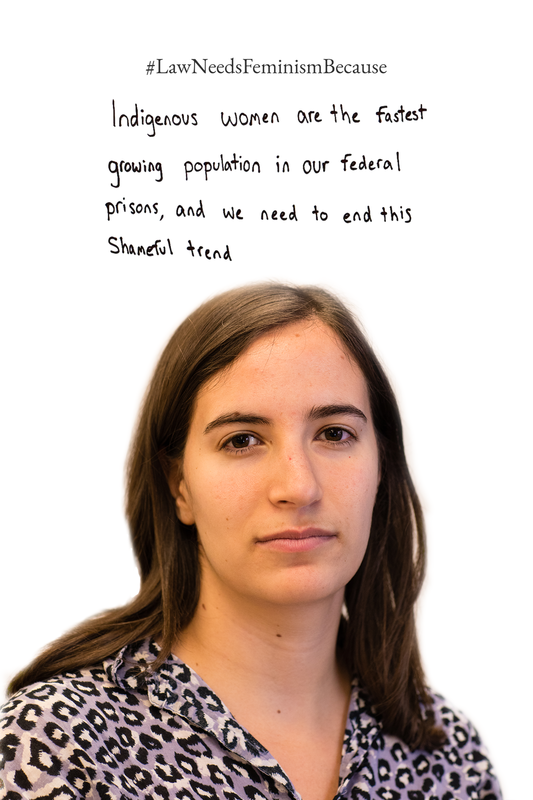 This photo campaign was run by Afifa Hashimi and Nico Bernardi (UVic FemLaw Co-Presidents) with photography by Debbie Preston and graphic design by Medina Abdelkader. Law Needs Feminism Because My Intellect, Ability, and Drive Should Not Be Judged By My Hairstyle, Nail Length, Lipstick Shade or Dress Size. 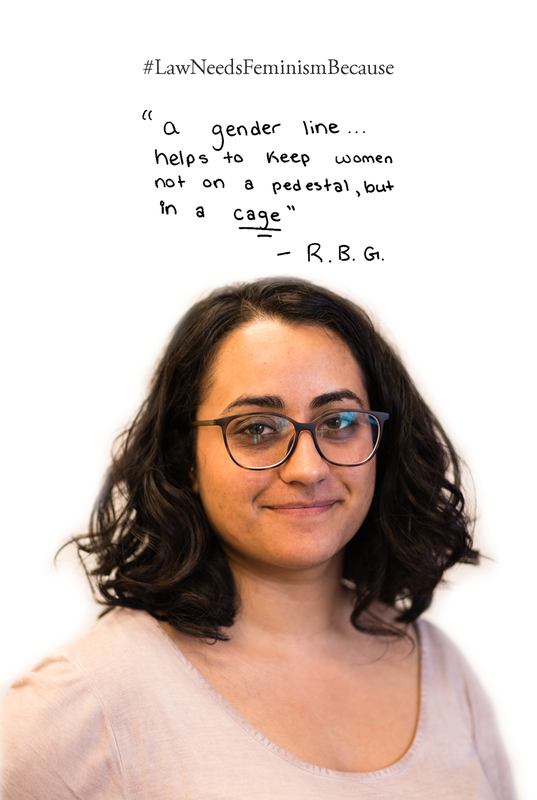 Law Needs Feminism Because “a gender line…helps to keep women not on a pedestal, but in a cage” – R.B.G. 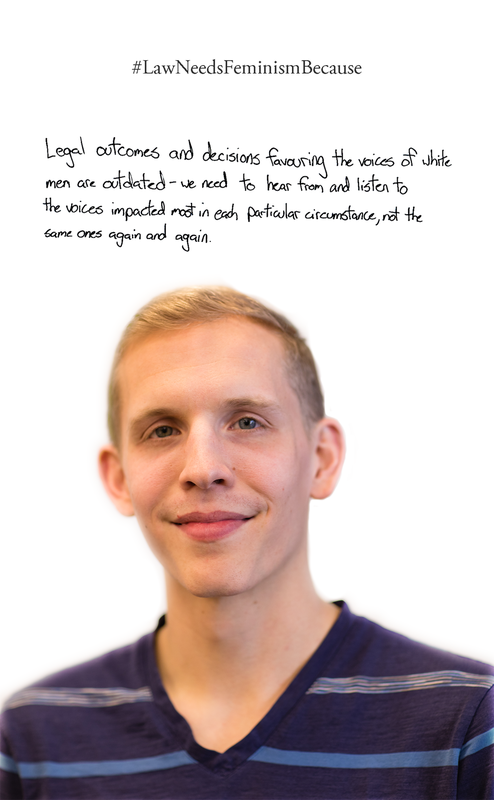 Law Needs Feminism Because Legal outcomes and decisions favouring the voices of white men are outdated – we need to hear from and listen to the voices impacted most in each particular circumstance, not the same ones again and again. Law Needs Feminism Because I am a woman but my English-speaking, white, settler voice cannot and should not speak for all women. 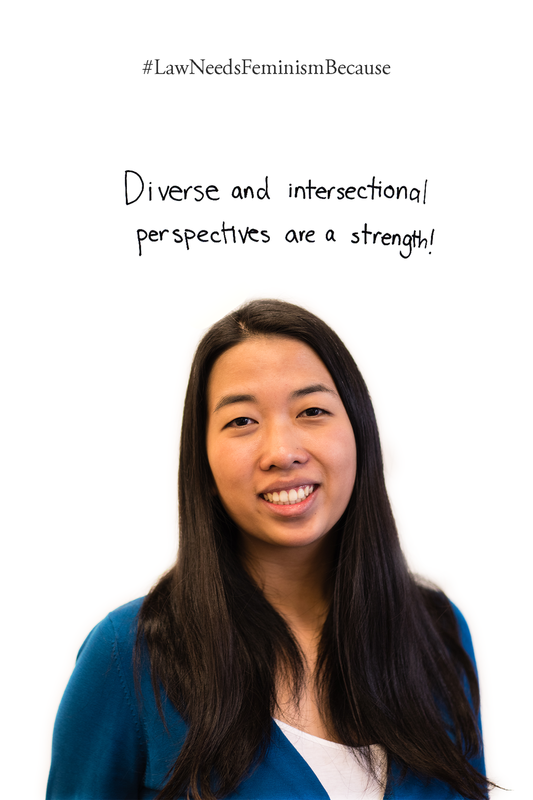 Law Needs Feminism Because Diverse and intersectional perspectives are a strength! Law Needs Feminism Because It took the Supreme Court of Canada to tell a male high school teacher that it’s not okay to film his female students for the purpose of voyeurism in R v Jarvis 2019 SCC 10. 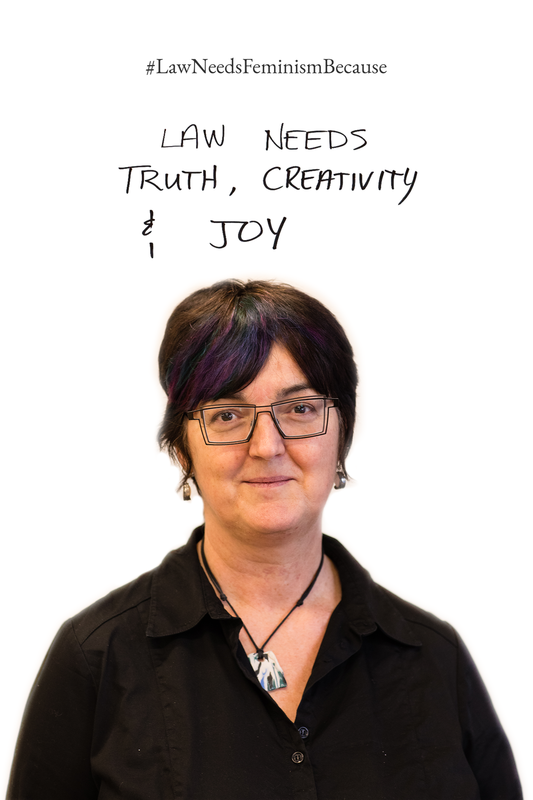 Law Needs Feminism Because Diversity in legal advocacy should reflect the diversity we see in Canadian society. Law Needs Feminism Because Rapists don’t belong in the White House. Law Needs Feminism Because Law needs feminism because it’s not just privacy rights that are infringed when a teacher films up the skirts of students. 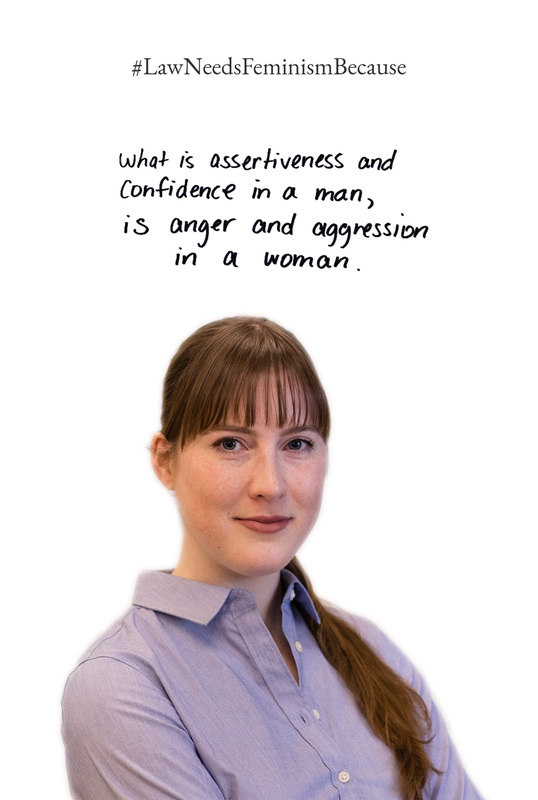 Law Needs Feminism Because What is assertiveness and confidence in a man, is anger and aggression in a woman. 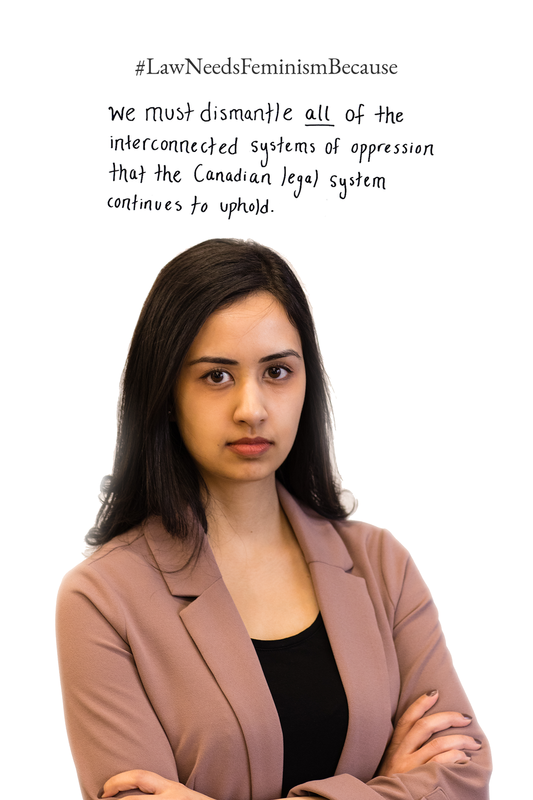 Law Needs Feminism Because we must dismantle all of the interconnected systems of oppression that the Canadian legal system continues to uphold. 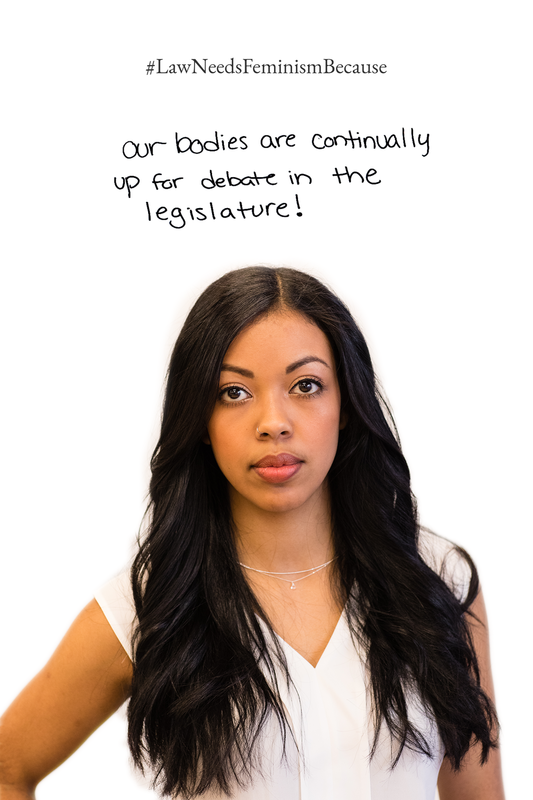 Law Needs Feminism Because our bodies are continually up for debate in the legislature! Law Needs Feminism Because We should all be feminists! Law Needs Feminism Because A partner shouldn’t reassure me that they don’t “get too friendly in the workplace” while I’m on a firm tour. Law Needs Feminism Because the diversity of law schools & society at large is not (yet) reflected in legal leadership. Law Needs Feminism Because I’m not a less valuable lawyer on days I don’t wear makeup. Law Needs Feminism Because upon seeing my scales of justice necklace, a lawyer asked me if I was dating a guy in law school. 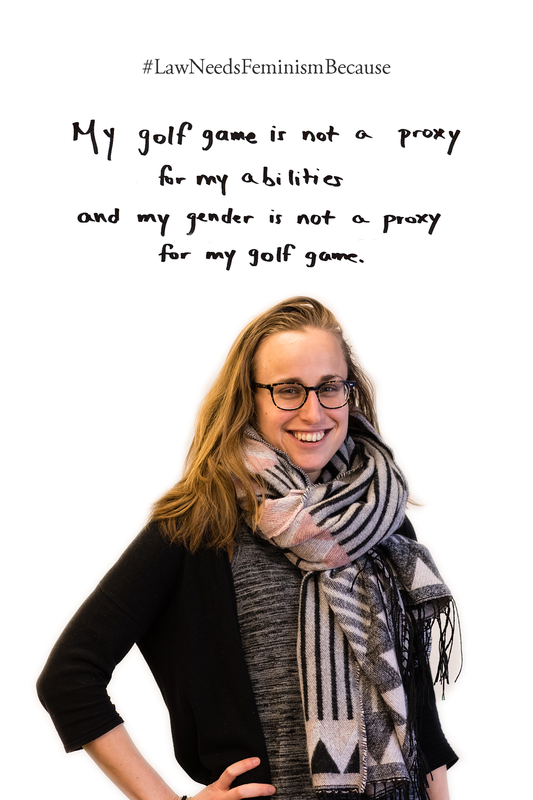 Law Needs Feminism Because My golf game is not a proxy for my abilities and my gender is not a proxy for my golf game. Law Needs Feminism Because women should not need a powerful male in order to feel powerful.